Get a grant to educate about sustainable communities at the State Fair! 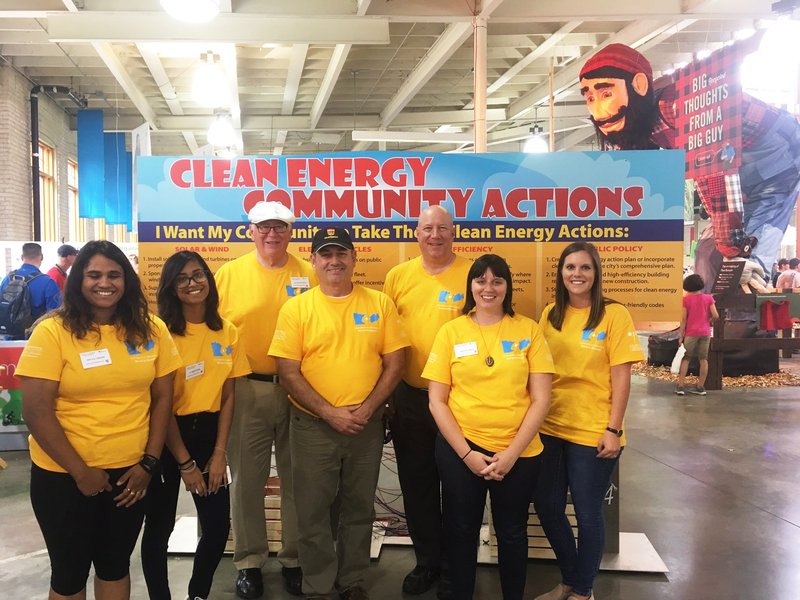 The Minnesota Department of Commerce Energy Division has developed a small grant program to promote clean energy education at the Energy Exhibit in the Eco Experience at the 2019 Minnesota State Fair. The grants program is intended to encourage increased participation in educational initiatives that promote the use of energy efficiency and renewable energy, address climate issues, and that empower, inspire, and motivate a new generation of energy leaders, of all ages and backgrounds, in communities around Minnesota. 12 grants of up to $2,500 each will be awarded and are designed to be used for expenses to plan, develop, and create Clean Energy Community educational messages, displays, and materials and to provide one day of staffing at the exhibit during the State Fair. On Saturday, February 9th, Minnesota’s clean energy economy—which last year provided 25% of the state’s electricity—was on the big screen at the Frozen River Film Festival in Winona, MN. 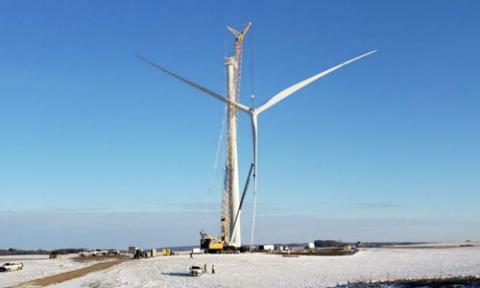 While many people had driven past solar and wind energy systems around Winona and southern Minnesota, most had not heard the stories of the people behind these clean energy developments. The Power of Minnesota is a new Minnesota-made documentary featuring stories about the ways clean energy is driven by and supporting families, communities, schools, and businesses. Over 50 people came to watch the film, hear about local projects, find actions they could take, and connect with others. 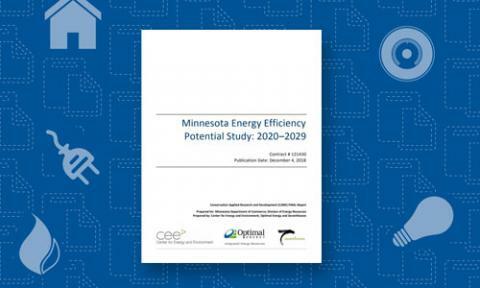 Minnesota utilities should be able to continue to meet or exceed their annual energy-savings goals over the next decade, according to the Minnesota Energy Efficiency Potential Study: 2020-2029prepared for the Minnesota Department of Commerce and released on Dec. 4. 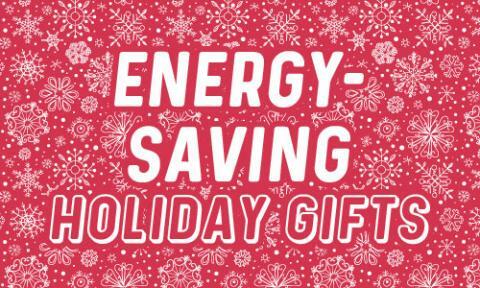 This holiday season is an opportunity to pick out special gifts that your family will appreciate and that have the added bonus of delivering energy savings and a smaller carbon footprint. When you select appliances, electronics and lighting that carry the ENERGY STAR® label, you can trust that your gift meets strict energy efficiency guidelines set by the U.S. Environmental Protection Agency. Minnesota’s clean energy progress is continuing at a strong pace! 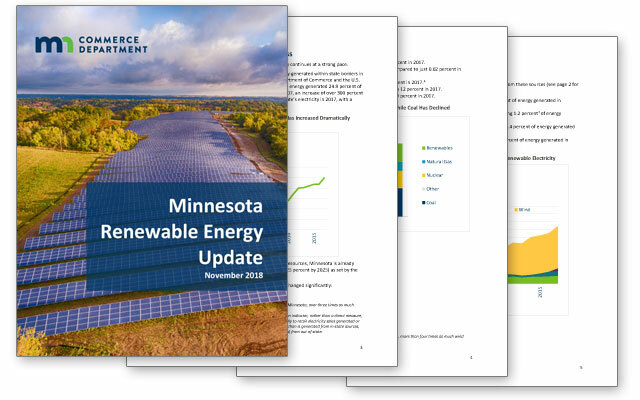 Overall, renewable energy generated 24.9% of the state’s electricity in 2017 compared to 8.4% in 2007, an increase of about 300% in the past decade, according to the most recent Minnesota Renewable Energy Update from the Minnesota Department of Commerce. The Clean Energy Resource Teams are pleased to introduce Colby Abazs, who will now be taking the lead as the coordinator of our Northeast Region! 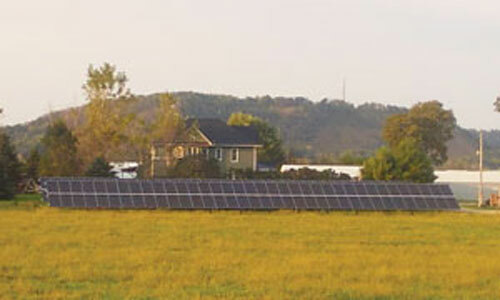 Colby grew up in an off-grid home powered by solar and wind energy in Finland, MN. As a kid, the batteries had to be above 50 volts to be allowed to watch movies. This sparked his interest in energy production and usage at a young age, a passion that he has continued to pursue throughout life. While in college, Colby took on leadership roles in student governance on both the college and statewide levels, allowing him to expand his community engagement skills. 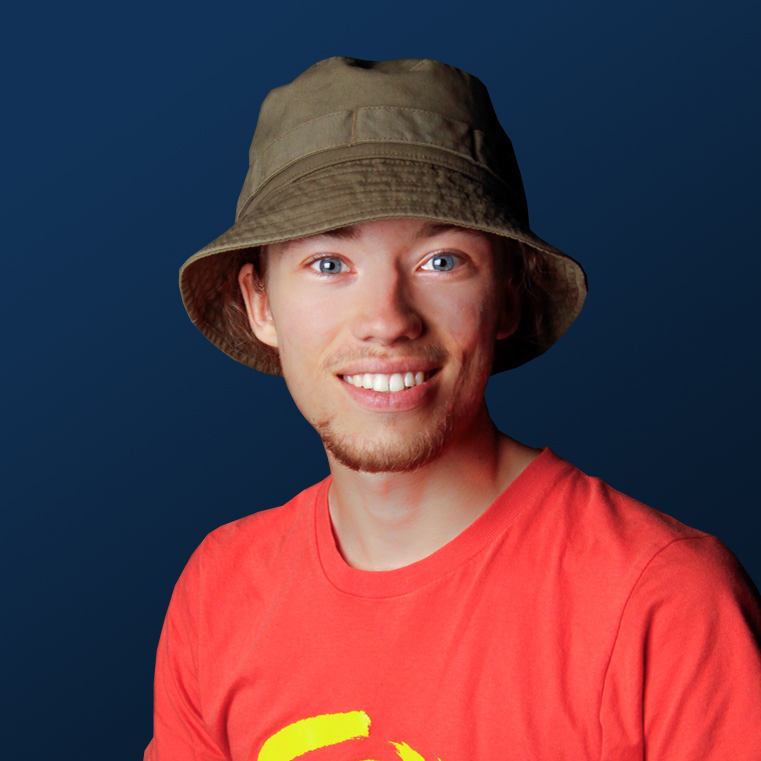 He recently completed a ten month trip exploring cultures and communities around the world and is now settling into the family homestead in Finland, MN. Juhl Energy, GE Renewable Energy, and Bank of America are partnering for what they call the first commercial, integrated solar-wind hybrid power generation project in the United States, according to articles in North American Windpower and Utility Dive. 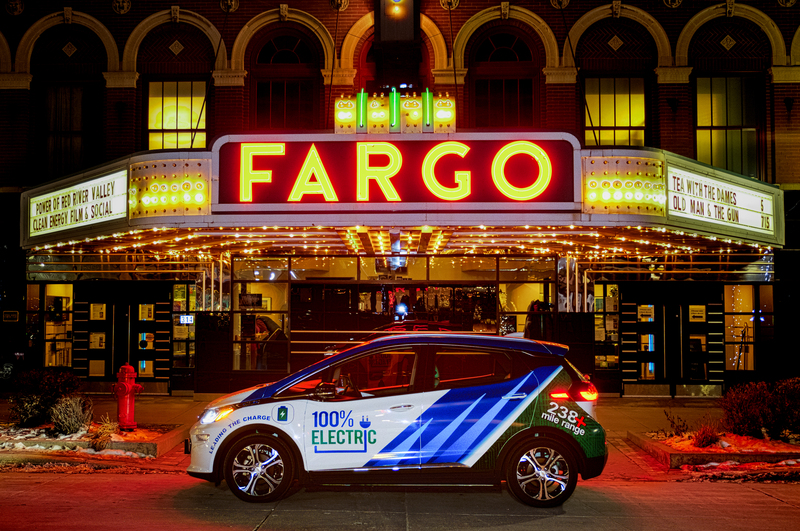 On November 27, over 140 people from the Red River Valley attended a film screening of the new documentary, The Power of Minnesota, that took take place at the Historic Fargo Theatre. 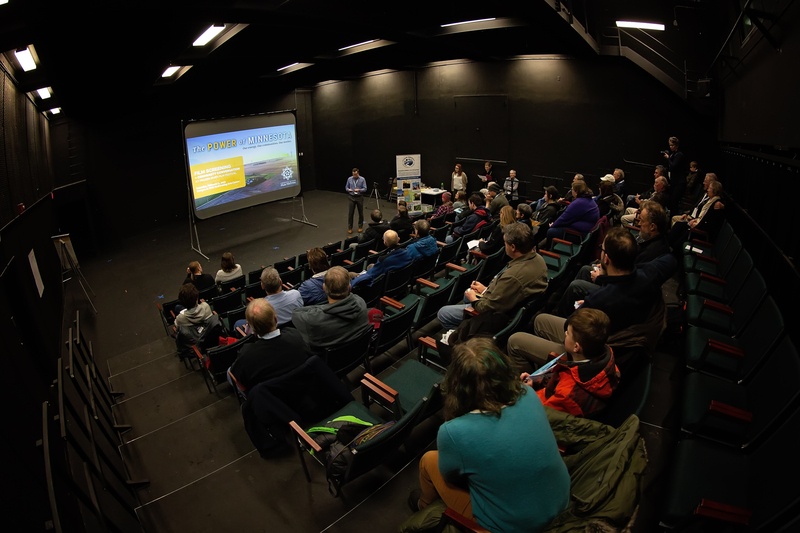 Event highlights included a social with appetizers, presentations from local speakers, a screening of the documentary, and a community conversation to explore the Red River Valley’s clean energy developments. Read on to see all of the details! 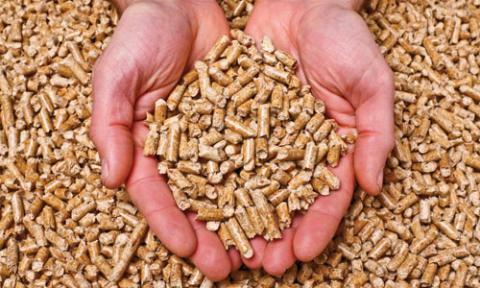 The U.S. Forest Service recently announced $8 million in grant funding available for applied research projects that expand wood product and wood energy markets and improve forest health. Applications for funding will be accepted through January 23, 2019. Eligible applicants include businesses; State, local, and Tribal governments; school districts; communities; non-profit organizations; institutions of higher education; and special purpose districts (e.g. public utility districts, fire districts, conservation districts and ports). 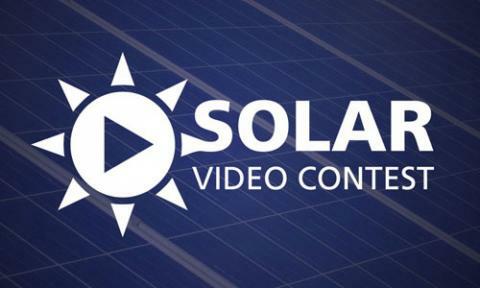 For the last three years the Clean Energy Resource Teams have hosted a Minnesota Solar Video Contest at the Minnesota Solar Energy Industry Association’s Midwest Gateway to Solar Conference. We’ve been blown away by the creative, powerful, funny, and informative submission we get, and this year was no different! Keep reading to see who won this time around and watch their videos. 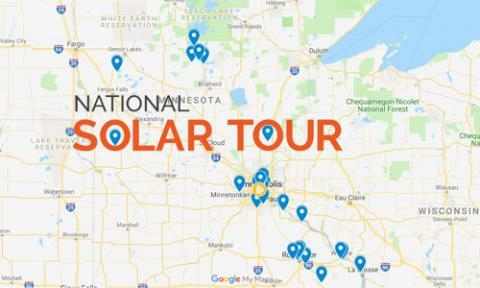 Billed as “the largest grassroots solar, renewable energy, and sustainable living event in the nation,” the National Solar Tour is a collection of solar open houses and local solar tours around the country on October 6 & 7 in 2018. 725 homes across the country participated in 2018, with 45 participating homes and other sites right here in Minnesota. Back to back clean energy events at Lakeland PBS on Thursday October 11th featured a tour of solar, geothermal, and energy efficiency projects, a screening of a new MN clean energy documentary, and local speakers. 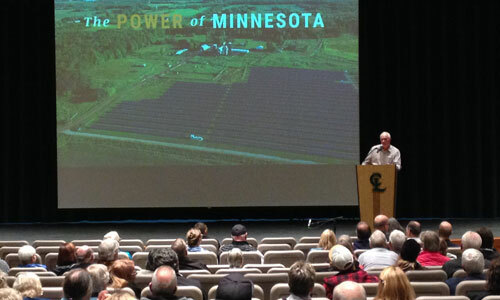 On Thursday, October 4, Chisago County took center stage at the Chisago Lakes High School Performing Arts Center in Lindstrom to celebrate the county’s role as the Solar Energy Capital of Minnesota. Solar in Chisago County: The 100MW North Star Solar installation in Chisago County is Minnesota’s largest, and produces enough electricity to power about 20,000 homes. 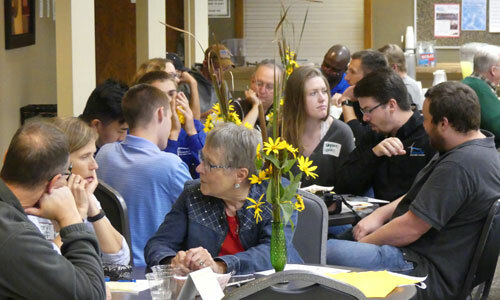 On September 18th, over 100 people gathered at the Minnesota West Community and Technical College in Canby for the first official screening of The Power of Minnesota documentary. Pioneer Public Television also unveiled a segment of an upcoming Prairie Sportsman episode that features solar and pollinator habitat (and honey and beer and cider). This article was republished from the original by Kirsten Zoellner with the Fillmore County Journal. With the costs related to farming on the rise, Rushford resident and farmer Jon Peterson is always on the lookout for ways to increase efficiencies and maintain sustainability efforts. This May, Peterson and his family installed a 37. From the Greenway Office Building in Minneapolis to Timm’s Trucking in Morristown and from AirCorps Aviation in Bemidji to the First National Bank in Saint Paul, businesses are benefitting from solar and efficiency improvements with no up-front costs and streamlined payments through their property tax assessments. 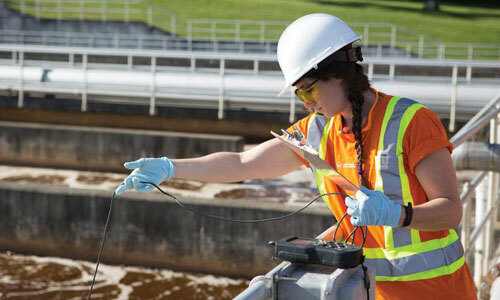 Effective wastewater treatment systems are critical infrastructure to manage waste effluent within hundreds of communities in Minnesota. The Minnesota Rural Water Association (MRWA) is partnering with MPCA, MnTAP, City of St. Cloud and Met Council on a Wastewater Optimization Pilot Project (Pond and Mechanical). Optimization includes getting better results through existing infrastructure. This article is reposted from the original by Frank Jossi in Midwest Energy News. Cities, school districts, and government agencies are using a shared contract to streamline the process of procuring solar power. 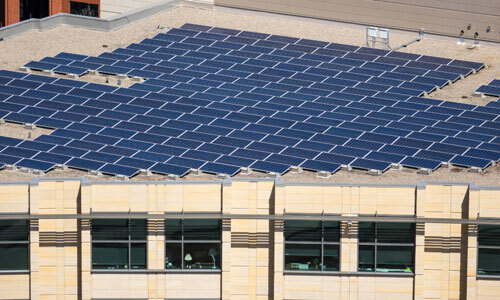 The state of Minnesota and nearly a dozen other government entities will use a collaborative buying approach to build 4 megawatts of on-site solar. There are great incentives for multifamily building owners—and their tenants—to make energy efficiency improvements. 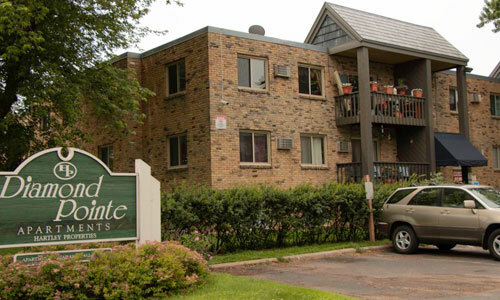 Just ask Grant Hartley, building manager and co-owner of Diamond Pointe Apartments in South Minneapolis. “With the change-out to LEDs and other energy-saving measures, tenants may only see savings of $2-3 a month on their electric bills. Warren, MN: A small town doing big things with clean energy (including drones)! 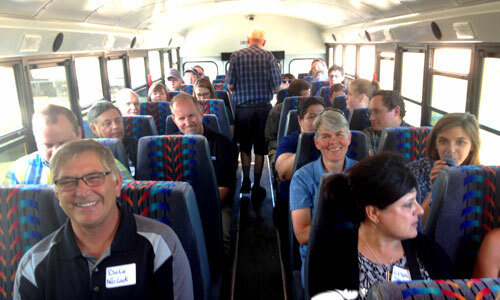 Over 30 people met in Warren, Minnesota, (pop. 1,563) on the morning of Thursday, June 28, 2018, to learn how the city has advanced its local economy with energy efficiency and renewable energy, while saving the city on its bottom line. 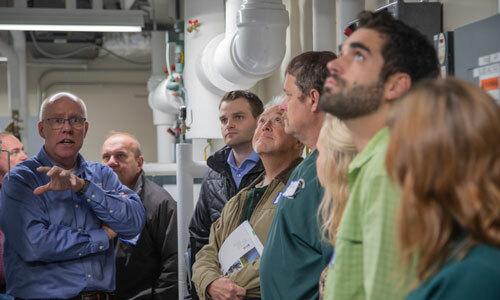 The event was hosted by Northwest Clean Energy Resource Team (NW CERT), the City of Warren, and Headwaters Regional Development Commission (HRDC). On July 5, the MPCA released a request for proposal (RFP) for electric-vehicle (EV) charging stations using Volkswagen settlement funds. The purpose of the grant is to reduce air pollution by expanding access to EV charging across the state. 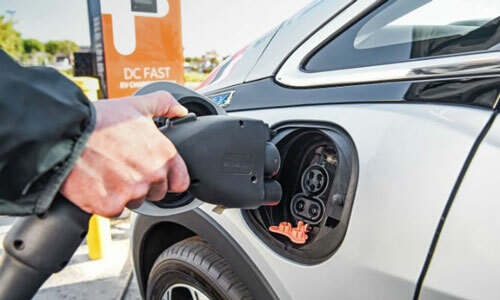 The RFP makes available approximately $1.4 million to install fast-charging stations along designated highway corridors around Minnesota. The Clean Energy Resource Teams are pleased to welcome Joel Anastasio as our new Coordinator for the Northwest Region. 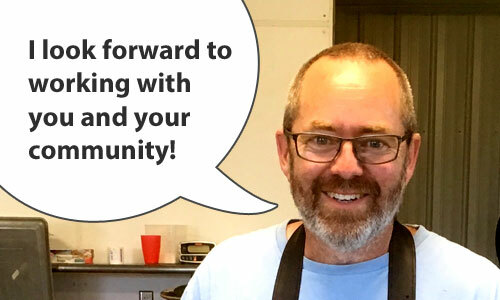 Based in Bemidji, Joel is already very engaged in local energy work, and his mix of education, connections, and experiences will help him have a great impact across the region. The Clean Energy Resource Teams are pleased to welcome David Abazs as our new Coordinator for the Northeast Region. David has a deep background with both renewable energy and CERTs, and we couldn’t be more excited to introduce him to you! 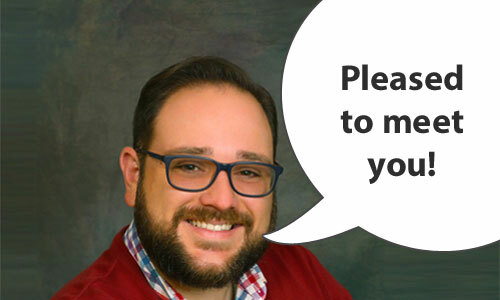 We asked David to share a little bit about himself, his background, and what he’s looking forward to with CERTs. The Clean Energy Resource Teams are a proud partner of the 4th annual Midwest Energy News 40 Under 40 Awards program that seeks to highlight emerging leaders throughout the region who work to accelerate America’s transition to a clean energy economy. The program is open to all who are under 40 at the time of their nomination. 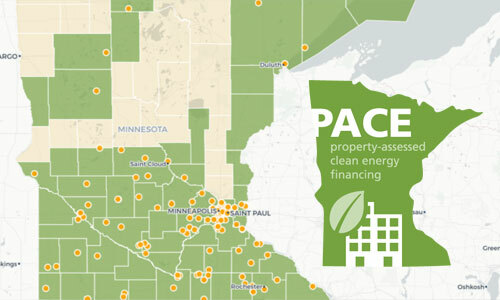 Across Minnesota, organizations from every industry are finding innovative ways to advance energy efficiency, renewable energy, and other sustainability practices in their day-to-day operations. 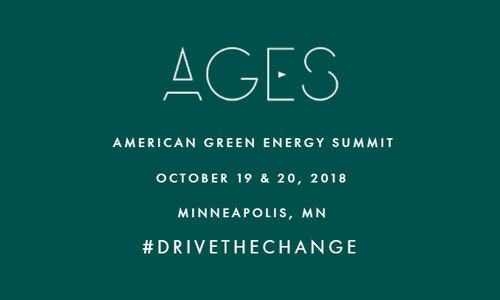 In an effort to recognize and share these efforts, the first annual American Green Energy Summit, AGES for short, is being held this October in the Twin Cities.